I volunteer at an ITF Future in my club, and I must say I’ve never seen rackets with so much lead. There were some in stringer’s room that have lead almost around the whole hoop. A lot of young players play with Tecnifibre; and Russians are the most awkward and unpleasant of all players. I am sure they find you charming and delightful, a true pleasure to be around. Maybe something is lost in translation. They just never say anything, they don’t smile, i stol’ko mata na korte ja uzhe davno ne slyshal. In Soviet times, the idea of customer service was alien; you made transaction, end of story. 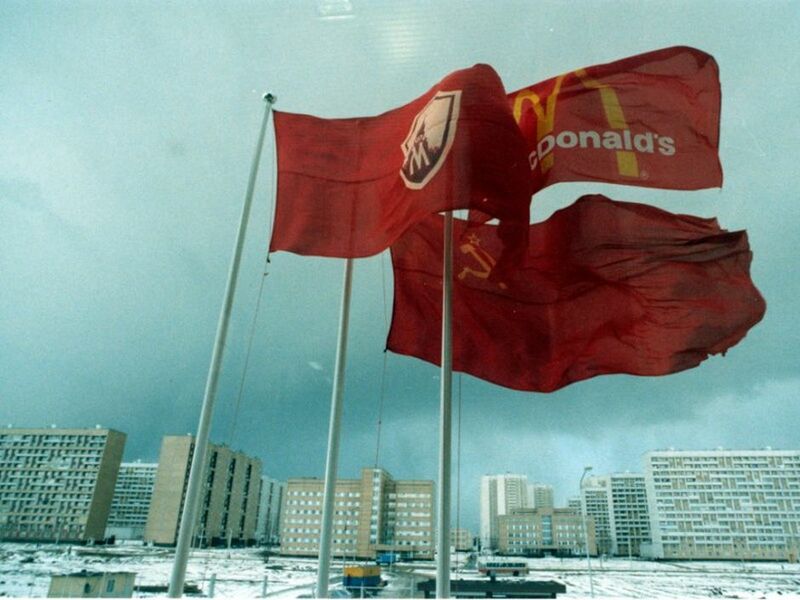 McDonalds was dumbfounded by the Russian concept of customer service when they first opened in Moscow. They had to teach people to smile and be friendly, leading to a forced McDonalds grin. Also, for many Russians forced friendliness and smiles with strangers is considered fake and possibly a sign of stupidity. 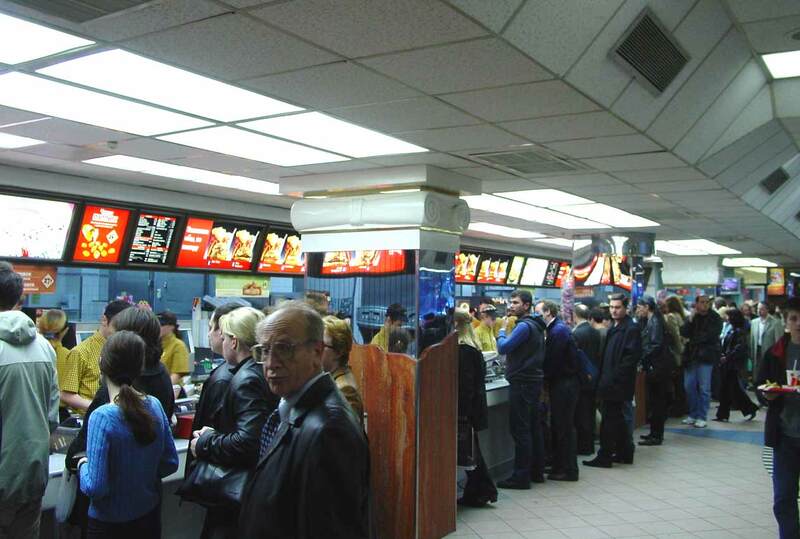 In Soviet times, the idea of customer service was alien; you made transaction, end of story. But really we're talking about generations that were born after Perestroika and players who probably spend most of their time in Europe/America. One could at least try to be nice to the stringer or just say hi to a guy at the parking lot. Sure they can't speak English and it's a part of that, but they also have faces like everyone owns them. They are they trying to get some ATP pts, not to make friends at a social event. Yeah, so are other 30 players, who have decency to be polite with the staff. They were rude to the staff? In what way? Being not polite doesn't mean to be rude. They just seemingly don't know how to greet and thank people who work for them, that's all. I get along the worst with my own kind ! Anyway, I'm surprised that there are low ranked players who travel with whole entourages of 3-4 people and that there are players who play only doubles in futures and challengers. Like for their whole pro life. How much can they earn? My note about Futures Vero Beach'16 tournament that I worked at...Millman's coach, who when he was shown in the box last night, looked very familiar to me. Then Pat McEnroe gave me the answer why his face was ringing a bell...he played that tournament and I did his racquets all the way to his title win, including a SF win over Shapo. His name is Jonas Luetjen, from Germany and just turned 29 last month. That makes him almost two months younger than Millman. Jonas was an extremely polite young man in my interaction with him. He was playing clay for the first time that year after playing indoor and outdoor HCs through the winter and early spring. After a couple more months of Futures tournaments without a title, he played several weeks in the German Bundesliga non-sanctioned tournaments and probably made more money than his entire year at the Futures. I have to rate trying to succeed at Futures level as a cauldron not matched in other sports for the development of young talent. Shapo had just turned 17 when I met him and yet carried himself with overall poise you might associate with a man in his 20's or 30's. He obviously was traveling with a coach, being a teenager. Same for Kecmanovic that week. Both teens were quite adjusted to lifestyles in Florida, with Kec training here in Bradenton and Shapo having spent the previous fall and winter down here grinding from 128-man qualies into and actually winning Futures main draws. Jonas was several years older (26) and had done the college route here in the Southeast U.S. Some of these participants mentioned by OP may be going through their first experiences a long way from home and it takes a while to adjust and open up. Having someone that is familiar with home, even if it's a dusty unused bit of broken dialogue in their native tongue, can break the ice. I know that from personal experience. When both Gerald Melzer (Austrian) and Luetjen introduced themselves, I asked in English where they were from. When they answered, I spoke a short sentence in German I still retain from having lived in Germany and taking two years of classes for the language in college. It made for smooth interaction both times! The rest of our communication was in English but we had become more comfortable with each other. Same for a pair of German dubs players, a NCAA champion from Germany and his French coach, a lot of the Italian players I met (lived there for three years) and the very few French players I encountered (lived there too). It could be that they are in a foreign land and not speaking fluent English which gives others the impression that they are rough and uncultured! I know when I travel to Miami and go to some parts that are solid Spanish and no speak is English spoken, so it sort of hard to communicate and I might seem like a jerk to others. Strange to see how the venue becomes more empty with each day. Anyway, a lot of unbelievable power hitting and extreme athleticism on the bottom of the ATP TOP 1000 (though little finesse). I now also totally convinced in existence of pro stock racquets (I know ) Wilson H22 feels and plays amazing.